At Indigenous Services Australia, we have access to some of the best speakers in Australia. 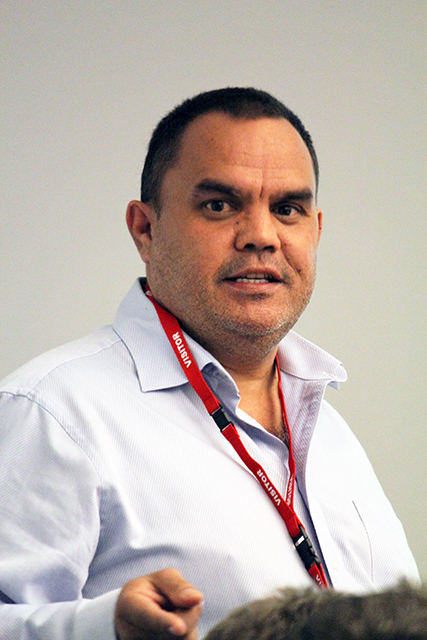 Tony Shaw, the owner and Managing Director of Indigenous Services Australia Pty Ltd (ISA) creates workshops that benefit even the most culturally aware among us. With his renowned skill and sensitivity as a mentor, he speaks alongside guest speakers of both Indigenous and non-Indigenous backgrounds to create an understanding of the Indigenous culture and mindset that is difficult to find anywhere else in Australia. mother at an early age and raised in 14 institutions before the age of 14. When he was finally allowed to return to his family and his home he embraced his culture and language, which is the very core of his being but had been denied him over those early years. The legacy of those first 14 years resulted in, at various times of his life, despair, depression and alcoholism however Tony inherited the fighting spirit of his mother, to whom he dedicates his work, and turned his life around. “I had the pleasure of presenting at this workshop recently, and found it to be one of the most informative and constructive workshops of this nature I have attended. Tony’s knowledge of Aboriginal History is outstanding and when intertwined with his own personal story, drives home the impact of past policies on generations that are still coming to terms with the impact of those policies on their lives and the lives of their families. As a Wongutha man he also has a very good knowledge of cultural issues and delivers this in a way that is witty and entertaining and deeply moving. I would not hesitate to recommend this workshop to anyone wanting to deepen their understanding of Indigenous culture, in order to work more effectively with Aboriginal people and towards reconciliation”. Generally, workshops run for 6 hours and are suitable for 15-30 participants at a time, but we endeavour to be able to accommodate any requested variations on this. Prices on enquiry.